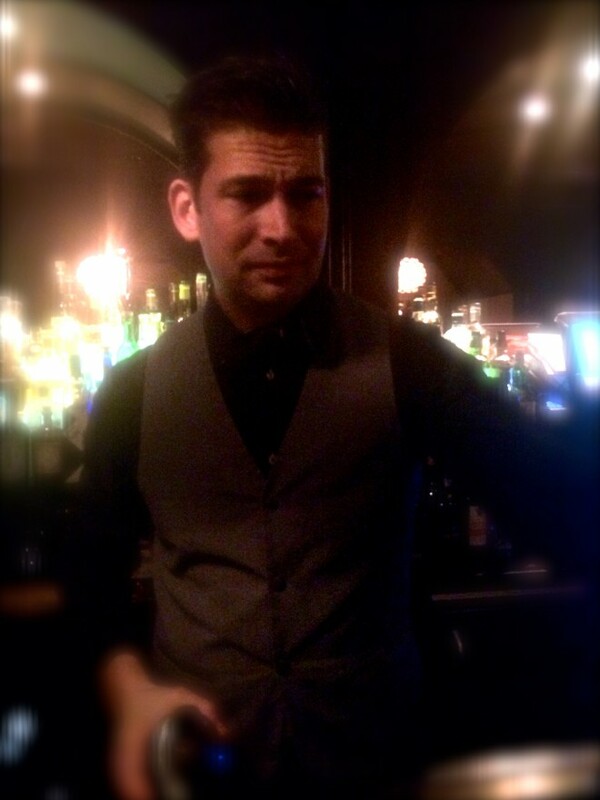 I’m Timo and I am a bartender at Door 74, Amsterdam. I am 33 years old and have been a bartender for 12 years now, as far as I can remember I’ve always wanted to do that, and improve myself. When you work behind the bar for a long time, you want to own your craft and the best way to do that is by making cocktails. It’s the place where you learn all the time. The bar of my dreams would be a very laid back bar, where people can have any kind of drinks combined with loud music so people can have a good time. Basically, a party place with the best drinks possible. I love to work with genever because it has a lot of heritage. It’s the right balance between a stronger whisky spirit and a gin. It has everything… it’s diverse, it’s part of my heritage (as I’m Dutch) and it has a lot of history in cocktail making. Every cocktail should have a nice balance, but for me a drink is really good when you can taste the base spirit. I also appreciate a drink if there is flavour that excites me. A drink that on paper doesn’t seem to work, but in reality it perfect. For me they’re the best drinks ever created. I would like to go very far with Pisco in the future. There is a potential and diversity, with so many producers and different grapes varieties. Most people haven’t heard of it, even if there are Pisco sours or Pisco punches and it deserves to be recognised more. It could become very popular here in Holland. One bar I really like is Amor y Amargo in New York. Here in Amsterdam, it would be a place called De Dokter. No cocktails, it’s a classic bar but it shows the heritage and history of Amsterdam. A place to have genever and chat with people, it’s an amazing place.